ERKAL Uluslararası Nakliyat ve Tic. A.Ş. 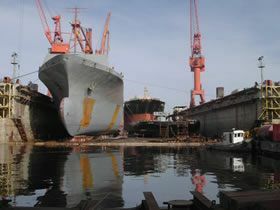 operates "TUZLA SHIPYARD" as the largest ship repair facility in the Tuzla Bay. Tuzla Shipyard is one of the largest shipyard in Turkey and, throughout its history, it has been identified with remarkable naval work. 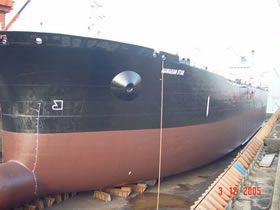 Located in the Tuzla suburb of Istanbul, north east of the Sea of Marmara at the entrance to the Bosphorus, we provide drydocking, repair and conversion services with fast turnaround times at competitive prices. 50 years of experience and reliability of the Kiran Holding Co. at your service. 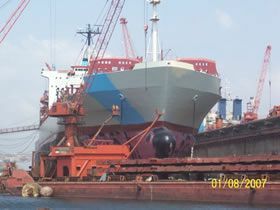 The facility is the largest commercial shiprepair yard in Tuzla Bay. 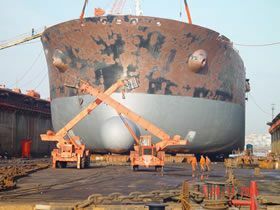 TK Tuzla Shipyard owns one of the biggest floating docks in the world, with particulars: 350m length, 65m inner breadth and 100,000 tons lifting capacity. The yard was acquired by the Kiran Holding Co.